Please Note: The Savio pumps are being phased out and Leader pumps with similar handling capabilities are available instead. Click here for Leader pumps. Meet the industry leader in water gardening pumps, professionally engineered to take on the serious debris of a pond habitat. 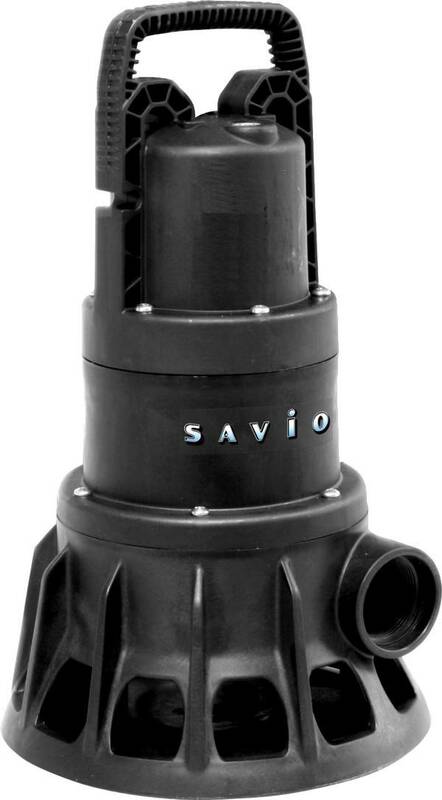 Delivering phenomenal dependability for reliable, non-stop, 24/7 operation, the Savio Water Master Solids Handling Pump tackles that down-and-dirty job of filtering suspended solids up to 1-1/4". No clogging. No worries.